Lionel Deimel’s Web Log: Stop Donald Trump, Etc. I have removed the Christian Diversity badge from the sidebar, not because I believe any less in Christian diversity, but because I needed the space for something more pressing. That more pressing need is to help elect a reasonable President of the United States. 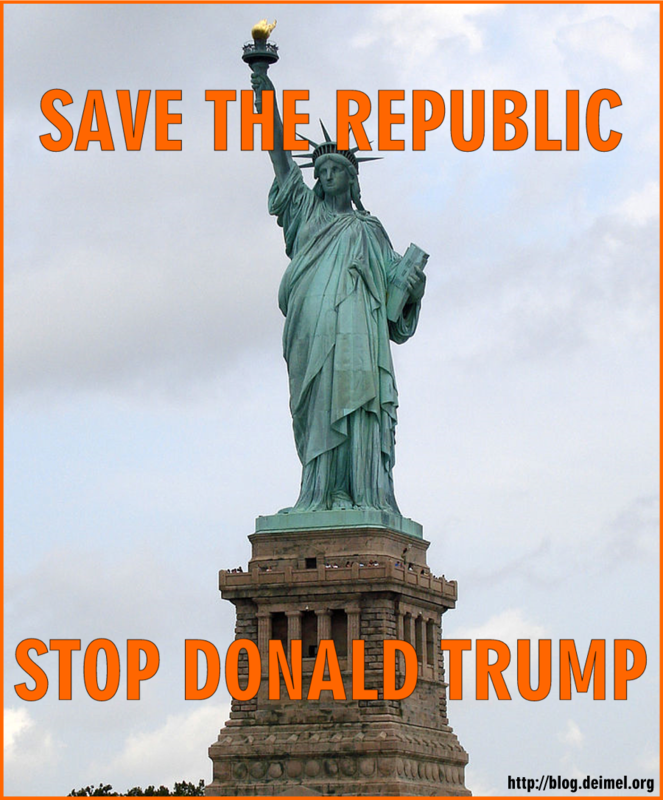 The Republic might not survive a Donald J. Trump presidency. People of good sense and goodwill need to do everything in their power to prevent the catastrophe that would represent. In this spirit, I am displaying the graphic below, which will become a regular part of my blog’s sidebar. I encourage readers to use this image freely on blogs, on Facebook, and elsewhere on the Web and off.